We present you the latest development of the company EXPERT-M. It is a collaboration of ERP EXPERT M and online store MAGENTO. This shop is one of the leading shops for online trading in the global Internet space and the best thing is that this product is OPEN SOURCE solution. We will briefly introduce the most common functionality of MAGENTO, and made ​​further development of our company. Magento is a freeware system for download and use. Multi-site functionality. With one Magento installation you can control several sites, each has its own design and products. Ability to import and export large quantities of products without restrictions. Search and sort products according to several criteria simultaneously. Built-in SEO functionality, tags, descriptions, clean URLs, well structured and clean code. Google analytics is integrated into the system. No restrictions of ordered products. Submission of an order from 1 page. Placing an order with multiple shipping addresses. Connection to ERP Expert M, sending confirmed orders, automatically change order status by reverse communication with the ERP. Automatically changing order status to completed after shipment and sending e-mails to client on every status change. Ability to export products with desired attributes in CSV file. Import of products with all additional attributes with CSV file and automatically uploading all images associated with them. Additional very easy to work with interface for translation of product attributes on all languages simultaneously. The system automatically notifies which product needs translation for the selected attribute. 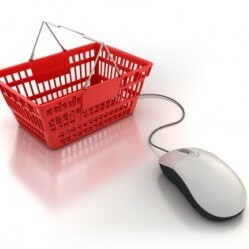 Setting and adding supplier companies, which clients can select from checkout interface for products delivery. They are not shipment companies, but different offices of our company in different cities for example. Additional ability for setting specific price for specific product for one client, not for a group of clients. Can be used to create tier prices for a client based on ordered quantity. Added ability clients to publish complaints for their orders after order is completed. Clients can input different information according complaint reason like transport damage, wrong delivered product, normal product return as per law or other. Caching and accelerating the system to maximum by caching every page and storing it with unique key. Compression of cached pages to save space on server’s hard discs. Different caching criteria depending on clients – are they logged or not, is client a BOT machine or real person. If a page is loaded from cache Magento is not making even one connection to system’s database. Automatically cache clearing on various criteria. Ability to setup specific prices and discounts to customer groups and display different payment agreements according customer group (if client is company or physical person). Ability to hide, show or change position of every block directly from interface without the need to change system files. Exploit protection after inserting scripts. Creating blocks that includes products selected by different criteria – advertisements, promotions, related products, most ordered products etc. After installing more than 1 design, clients can change the appearance of the online shop as they like most. Module for communication with the API of E-bay and Amazone online trading platforms. Automatic sending and synchronization of product descriptions and attributes. Receiving orders from E-bay and Amazone platforms. Compliance to visualize the products, their prices with or without VAT, trade agreements and purchase fees depending on the supplier and payment. Showing the basic price and discounted rates in main measurement initial shipping tax calculation for every product etc. Ability to visualize the 3D product model. Customers can rotate and view it from all sides, to increase or decrease the size of the model. Аdditional taxes on various criteria, such as a combination of shipping company and payment method or a combination of other criteria, such as product attributes, categories and more. We are developing different modules and system customizations by client’s criteria without functional limitations of the desired modules. 7. ERP “Expert M” sends information to the module that the order is processed and sent.